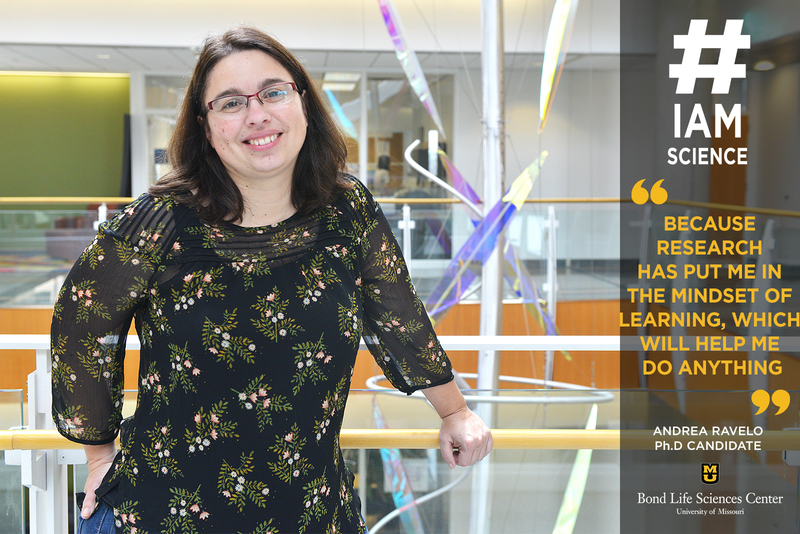 Andrea Ravelo, a Ph.D. candidate in Chris Pires’ Lab at Bond LSC, came to Mizzou to continue that trend. But Ravelo didn’t have the typical academic journey. She spent nine years teaching high school before electing to go back to school. “I enjoyed teaching, but I wanted to move back to research because I missed it when I was teaching,” Ravelo said. And that’s exactly what she did. In the Pires lab, Ravelo works with endangered orchids alongside the Department of Conservation in Missouri. This specific orchid species used to be found all throughout northern Missouri, but now, it’s only in certain pockets of the state. Ravelo works to figure out why that is and what the department can do to fix it. The process isn’t as easy as it might sound, though. Because the plants are endangered, it’s a lot less hands-on than other projects. “When you’re working with species that are endangered, you can’t just pull them up. You have to use a non-invasive approach,” Ravelo said. That means the lab uses sequencing to try to determine what is preventing the orchids from thriving. Although they haven’t figured out the answers quite yet, the lab is hard at work to find the answers. When she’s not in the lab, Ravelo spends her time working on a business she started with her husband. And that freedom has inspired Ravelo in all she does. 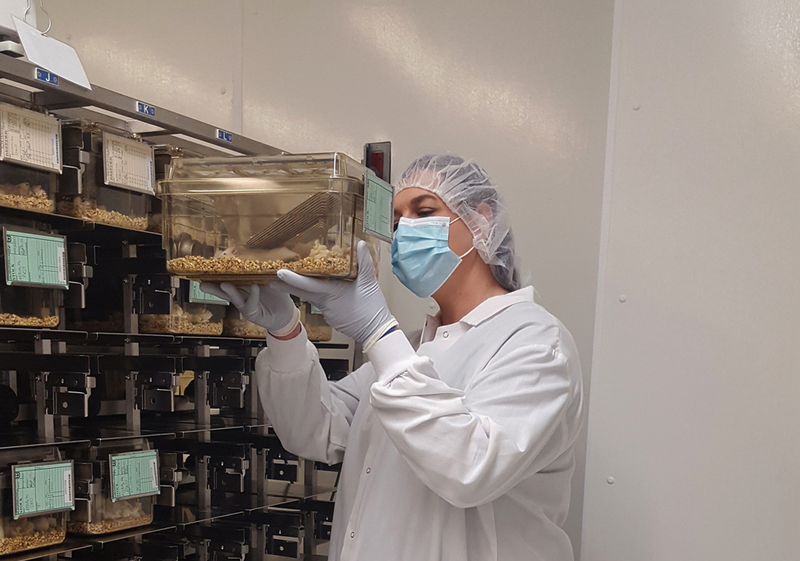 Whether in the future she continues to work on growing her business or heads back to the lab, she’ll always be building on the foundation of knowledge she learned because of research. “Once you’re in the mindset of learning, which is what we do here in lab, you can do anything,” Ravelo said. Change is hard. Especially when you’re comparing weather, like Maria Boftsi, a second year Ph.D. student in the Pintel Lab at Bond LSC, did. 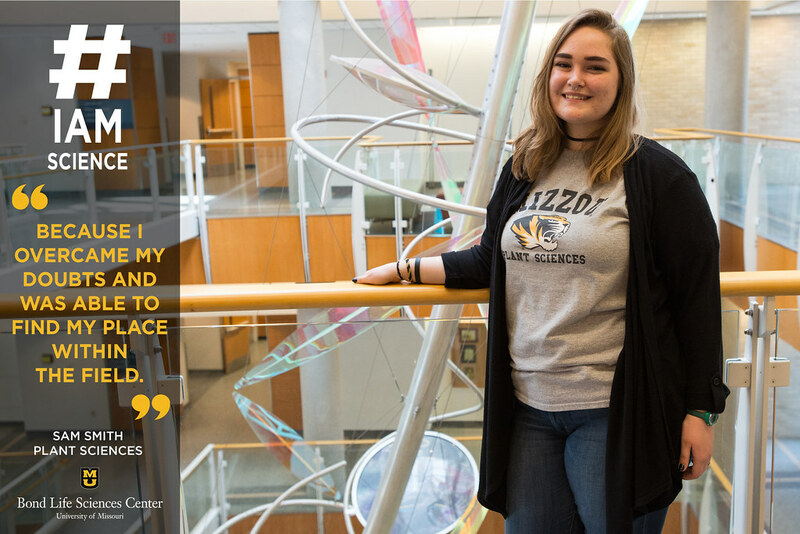 From the sunny skies of a small town in Northern Greece, where she’s originally from, to the contrastingly harsh winter of mid-Missouri, Boftsi was in for a lot of change when she came to Mizzou. In the Pintel lab, Boftsi studies parvovirus interactions with the host genome. This virus is among the smallest in terms of DNA. The replication process is anything but simple. Boftsi uses previous work to better understand this aspect of the virus life cycle. Once the lab does that, they’ll be able to apply what they’ve learned to future projects. That kind of impact is what allowed Boftsi’s original interest in science to grow. And the curiosity she’s developed is a driving factor in her decision to keep her education going. Even though being thousands of miles away from home is hard, Boftsi has grown from the experience, and she’s grateful for the opportunities she’s had thus far. 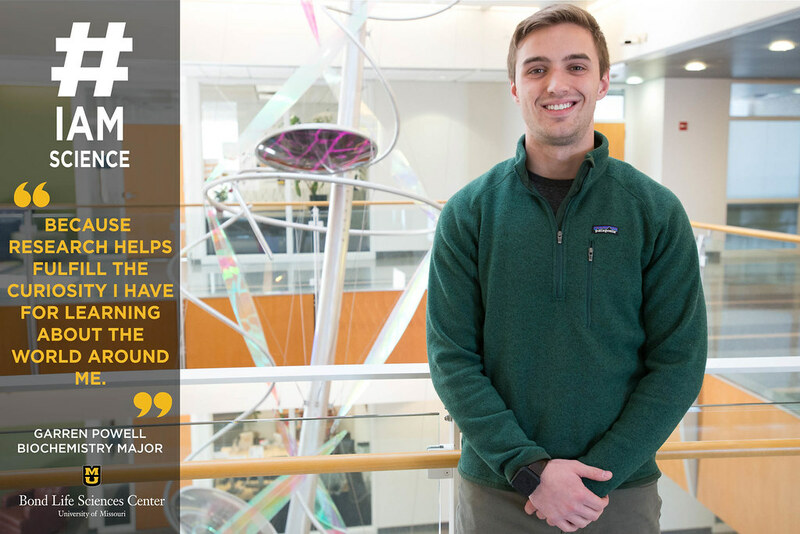 Like a lot of science majors, Ben Spears had plans to go to medical school after graduating with his bachelor’s degree. That is until he realized the very sight of blood makes his stomach turn. Spears took one plant sciences course during his undergraduate career and he knew it was what he wanted to do with his life. “I took that class and did undergraduate research. Since then, I’ve been entrenched in plant sciences,” Spears said. Now, as a Ph.D. student in the Gassmann lab in Bond LSC, Spears spends most of his time working on how plants and their interacting microbes interrelate. For Spears, that’s specifically looking at one family of transcription factor proteins, which can eventually be applied to other plants and help with immunity. As with most science, though, Spears soon uncovered more information that allowed him to better understand what was actually happening. Part of the challenge is about finding a balance between plant development and immunity to pathogens. Plants divvy up their limited resources between growing and protecting themselves. If they can’t put enough energy into growth, they won’t produce a good crop to feed people, however, if they’re dying from lacking the ability to protect themselves, they aren’t able to make food either. 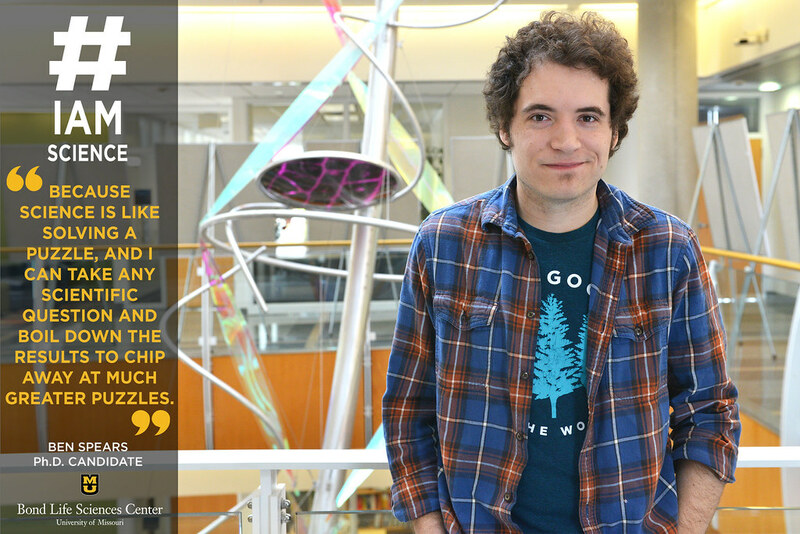 Another part of his work in the lab is mentoring undergraduate students, which has helped him get a better idea of what he wants to do after finishing his Ph.D. Working closely with students has furthered Spears’ interest in becoming a professor himself. “Being a mentor has been pretty good experience to prepare me to have students of my own one day,” Spears said. At the end of the day, Spears hopes to influence students like his first plant sciences professor did. “If I can teach at a university and point another student in the direction of plant sciences like my professor did with me, I’d love that,” Spears said. Viruses can be nasty things and scientists have to take precautions. You might think of researchers in floor-length lab coats, safety goggles, and plastic gloves or even the more extreme look of bulky, yellow hazmat suits similar to what Jim Hopper wear in Stranger Things. But, depending on the type of viruses being handled, these stereotypes aren’t quite the truth. For labs like that of Marc Johnson in Bond LSC, safety comes from the incomplete nature of the HIV viruses they study. The viruses in Johnson’s lab are defective, meaning they cannot reproduce themselves. It doesn’t mean the virus is completely safe to handle. If it were to come into contact with another living being it would only infect the cells exposed to the virus and could not expand further. With defective strains of HIV, the virus can be grown at biosafety level two. This level two is one of four levels of biosafety that are used to define how a lab might be physically set up and how its researchers are equipped in order to contain a virus. The levels act as more of a scale than a concrete definition of the lab since the type of virus being handled by a lab can vary. Johnson, a professor of Molecular Microbiology and Immunology, says that his lab teeters between BSL-2 and BSL-3 depending on what type of virus they are working with. The major difference between levels like BSL-2 and BSL-3 often comes down to the type of virus being handled, whether it be something like HIV or a more lethal infection like SARS. The Laboratory for Infectious Disease Research is one of the only facilities on the MU campus, that can be classified as a level three. Because the lab handles airborne viruses, they take extra precautions to regulate air and waste coming out of the facility. The highest level of biosafety can be identified as BSL4, which typically handles deadly viruses such as Ebola that could cause significant harm if it spread. This is where the terrifying and bulky hazmat suits come into play. 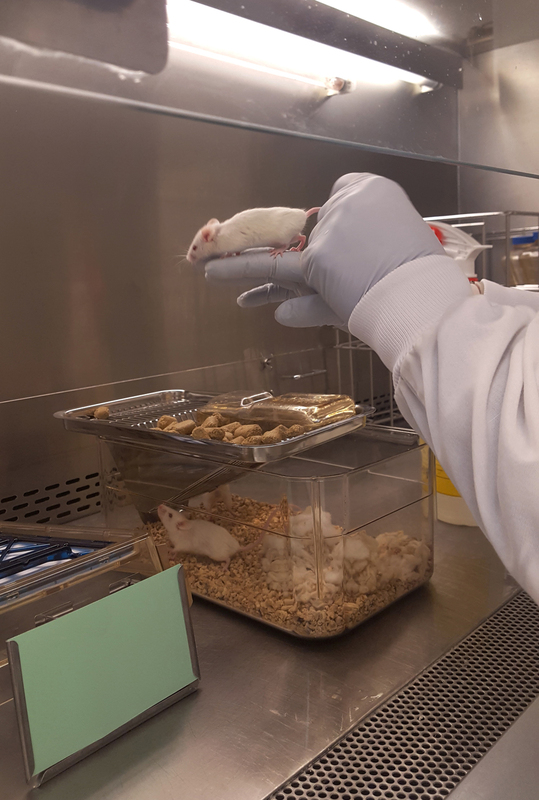 The virus being handled in a BSL-4 lab comes with a high risk of researchers being infected if the proper steps are not taken to properly handle or contain the virus. There are no BSL-4 laboratories in Columbia. In fact, one of the nearest labs won’t be opening its doors until 2022 in Manhattan, Kansas. These levels of safety are simply put in place to protect those who wish to study a virus and further medical research for the rest of the world. The different levels of Biosafety might seem frightening to some, but there is nothing really to fear. These precautions are put in places just as signs that remind us to wash our hands after using the restroom. They are ways to prevent the contamination and spread of viruses and disease. MU Researchers don’t just have these precautions in place to protect everyone around them. They also have these precautions in place so that viruses like HIV can be better understood and treated by medical professionals around the world. Some people spend their whole lives trying to figure out what they want to do. Garren Powell, however, has known that science was his route for as long as he can remember. “As a kid I was always the one doing my own little science experiments at home,” Powell said. It’s no wonder he wound up as a biochemistry major at Mizzou. 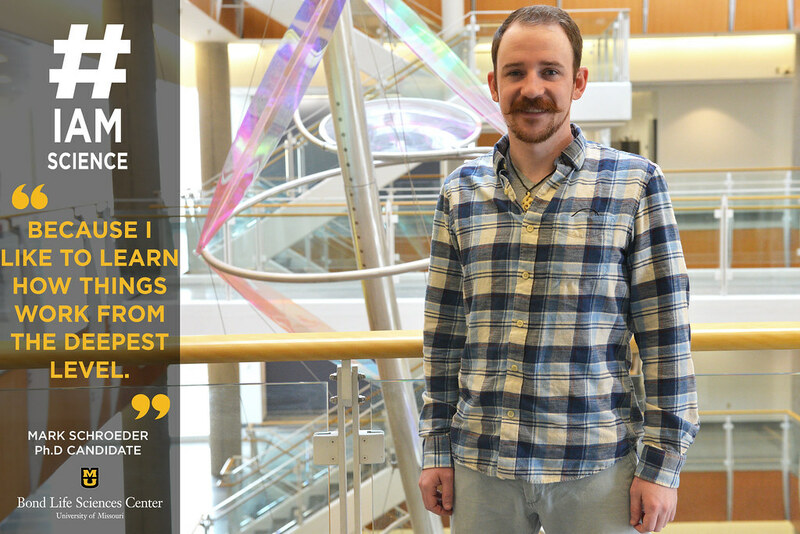 He works in Richard Ferrieri’s lab at the University of Missouri Research Reactor (MURR), which he found through Mizzou’s Freshman Research in Plant Sciences (FRIPS) program. One day last summer, Powell was scrolling on his computer when he came across a posting for FRIPS. He immediately knew he was interested. And the rest is history. After being accepted to the program — which chooses a select class each year — Powell’s next step was finding a lab. Now, Powell works with Risobacteria — which colonize near the root system of plants — to help better understand malnourished soil. “We’re trying to see how the bacteria interact with the root system to increase iron and the nutritional value of corn,” Powell said. Doing so will allow his lab to help alter the farming industry. And his work isn’t just lab basics. He’s doing real research and getting his feet wet in the industry. Even though he’s just begun his career in research, Powell is excited to see where things will go from here. Setting a routine makes everything easier. However, changes to a set routine often leads to complications. 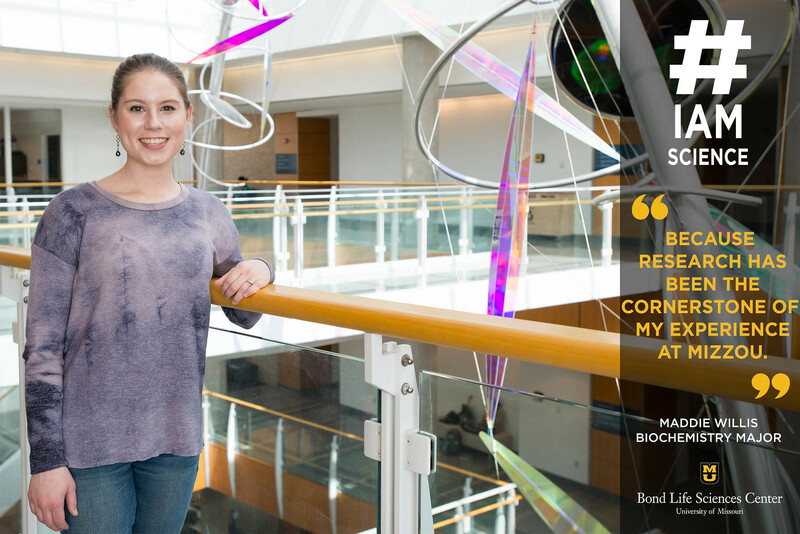 For Maddie Willis, a senior biochemistry major, that change came in the form of working in different labs and learning their unique styles and areas of emphasis. 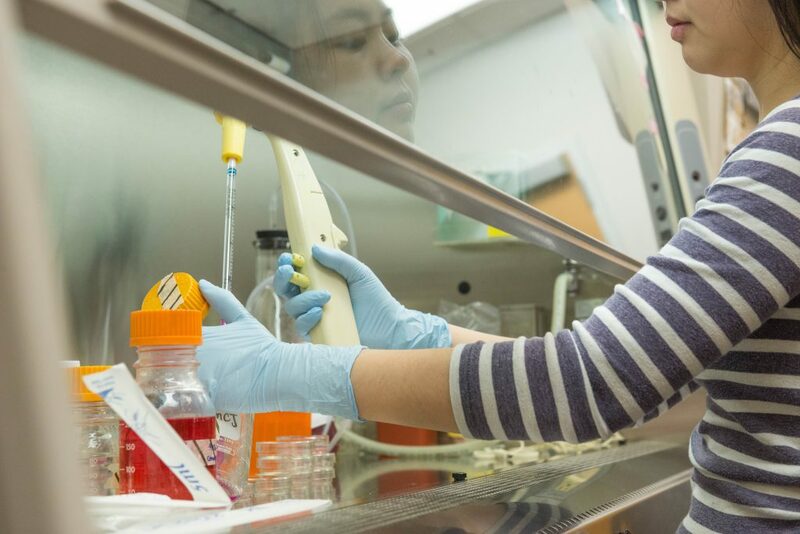 She started in Lori Eggert’s lab freshman year and switched into Frank Schmidt’s lab for the next two years before changing labs a final time for her last year at Mizzou. 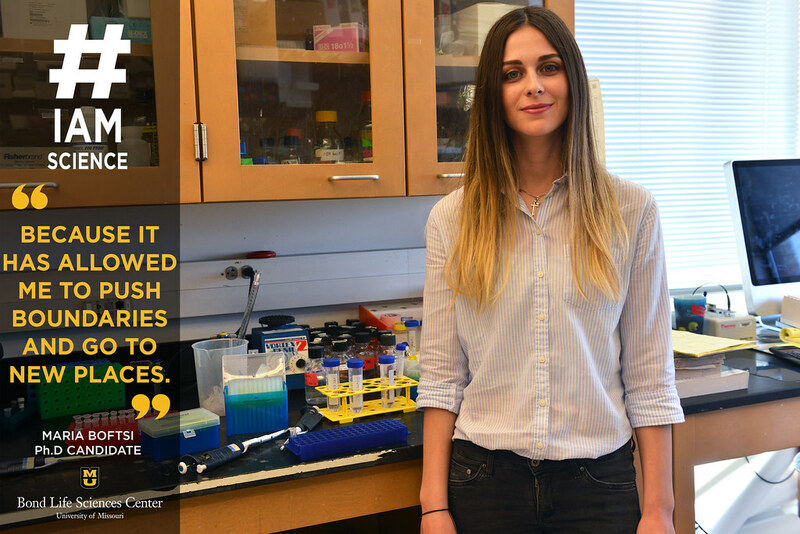 In Burke’s lab, she works with ribonucleic acid (RNA) aptamers — artificial RNA molecules that bind a particular target. Aptamers can be used for synthetic biology applications, molecular therapies and to investigate origin of life questions. Willis works on the latter of the three questions and is characterizing features of an RNA aptamer that can discriminate between the two redox states of Flavin adenine dinucleotide (FAD) — a nucleotide cofactor that appears along with many others in modern metabolism. It has been hypothesized that they are holdovers from an RNA world, when RNA catalyzed prebiotic reactions before being replaced by protein enzymes. Willis’ work is more in touch with human nature than anything else. If the aptamer can change the redox potential of bound FAD, it could potentially enable redox chemistry, which is essential for life. While the project doesn’t have immediate applications, its implications are significant. “There are huge advances that come from basic research that no one could’ve anticipated, so it’s important to do,” Willis said. After she graduates in May, Willis is looking to work in industry for a few years before attending graduate school. When she’s not in the lab working with RNA, Willis serves as an undergraduate research ambassador for the university. “We support the office of undergraduate research by talking to students about research opportunities throughout campus,” Willis said. It’s no secret that Willis has benefited from her time in the lab, so it makes sense she jumped at the opportunity to help others find their place too. In fact, it’s something that has rounded out her college career. If you’ve ever sat down on a beach, then there is a good chance that you’ve stretched your fingers into the sand, like a plant spreading its roots underground. By sinking deeper into the sand, your fingers are bound to encounter cool, damp sand, where water is more abundant and available to nourish plant life above it. It’s no secret that commonly known crops like corn need plenty of water to thrive, yet little is known about the massive network of roots that help this plant survive through periods of drought. 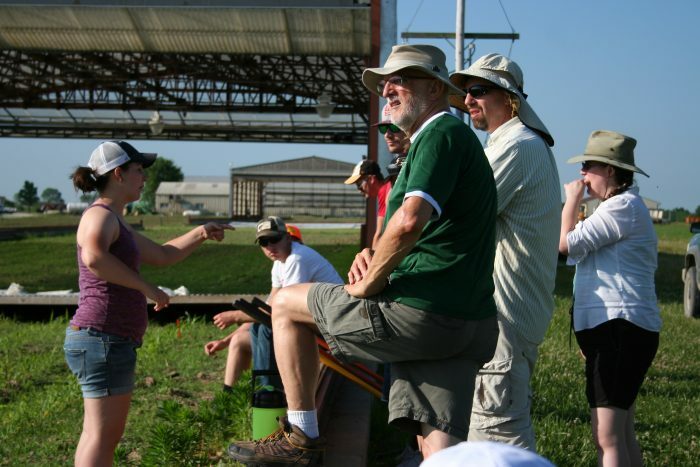 In March 2016, the National Science Foundation awarded a grant to members of the University of Missouri’s Interdisciplinary Plant Group (IPG) to study corn’s nodal root system under drought conditions. Peck is one of several faculty members working on this project that aims to be a first step in finding a solution for farmers when it comes to drought. So what makes nodal roots so special? Bob Sharp, the project’s primary investigator, plant physiologist in the Division of Plant Sciences and Director of the IPG, explains that corn needs a significant amount of water to maintain growth. Nodal or crown roots, which can be seen growing out from the cornstalk and into the ground around it, provide the framework of the mature plant’s root system that collects most of the water it needs to thrive. The nodal roots grow to more than six feet into the ground to obtain water. Joined by researchers from MU’s Division of Plant Sciences, Department of Biochemistry, Division of Biological Sciences, Department of Health Management and Informatics, School of Journalism and Bond LSC, Sharp is hopeful that they will be able to understand how the roots are able to continue to grow and survive under drought conditions. As climate change shifts global weather patterns, droughts have hit various parts of the world more severely. Take 2012 in Missouri for example. By mid-July, all 114 counties had declared a state of emergency due to severe drought and suffered millions of dollars in crop loss. Despite this being one of the most memorable droughts in recent years, these phenomena are not uncommon and certain crops, like corn, have developed a way to battle drought conditions underground. From the start of the project in 2016, faculty and students have studied one season of growing and harvesting maize plants in the field, as well as using a novel controlled water deficit imposition system in the lab. In the field, Shannon King, a Ph.D. candidate in Biochemistry who is part of the team, is using a “drought simulator” to impose and maintain drought conditions during inclement weather. It works like a massive, open-ended greenhouse on train tracks. When it begins to rain, the simulator rolls over the cornfield being used for this project to keep water at bay. It is then removed once weather conditions improve. The Drought Simulator, created by Ph.D. candidate Shannon King, acts as a giant mobile greenhouse. 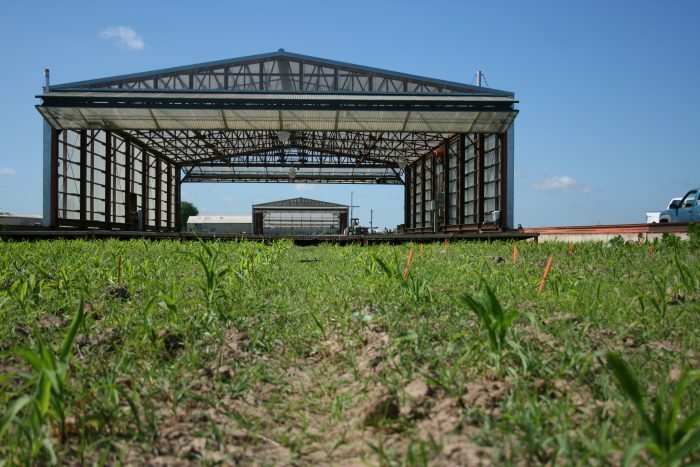 Whenever inclement weather moves in, the greenhouse moves on top of the crop field to protect it from any precipitation. As the project approaches the halfway mark, the next steps will involve analyses of proteomics, metabolomics, transcriptomics and physiological data from nodal root samples in the lab and field. Once these studies are complete, the team will integrate the datasets using bioinformatics approaches to generate hypotheses on gene candidates and metabolic pathways involved in root growth maintenance under water deficit. As a Broader Impacts activity of the project, Dr. Sharp and other members of the team will discuss their research at a workshop in the arid environment of northwest China. Here students, postdocs, and faculty will team up with Professor Shaozhong Kang of China Agricultural University to experience first-hand the problems and solutions of agricultural water-use efficiency near the Gobi Desert. The team will also present the importance of the project to the public, farmers, and legislators at the Missouri State Fair. By understanding the way roots react under drought conditions in a controlled lab setting, in the field in Missouri, and in arid climatic zones across the globe, Sharp hopes that the findings of this project will help improve the ability of plants to find and use water and thereby lessen the global impact of drought on crop productivity.